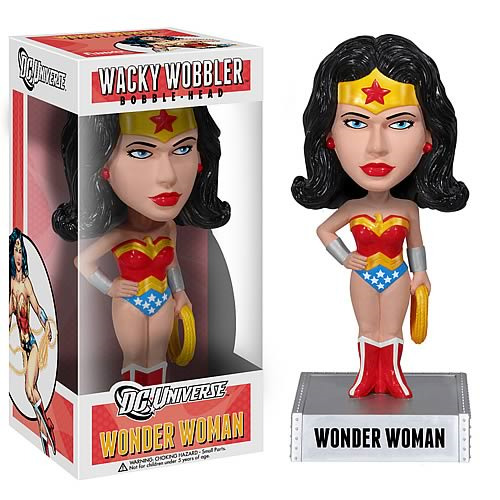 Shopping for Wonder Woman Bobble Heads? Get wrangled in by Wonder Woman's Lasso of Truth! DC Comics' Wonder Woman looks as magnificent as ever! Justice League member Wonder Woman stands beautifully atop her name display base. Her head bobbles as she stands in her modern outfit with her Lasso of Truth in her left hand. Measures 7-inches tall (base included). Ages 5 and up.